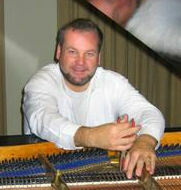 The Piano Doctor is an Australian business (ABN: 78579761693) established in 1990 owned by Michael Eriksen. The Piano Doctor one-man business is based on Michael's skills and knowledge about pianos. Michael was born in Denmark and emigrated to Australia with his parents in 1976.